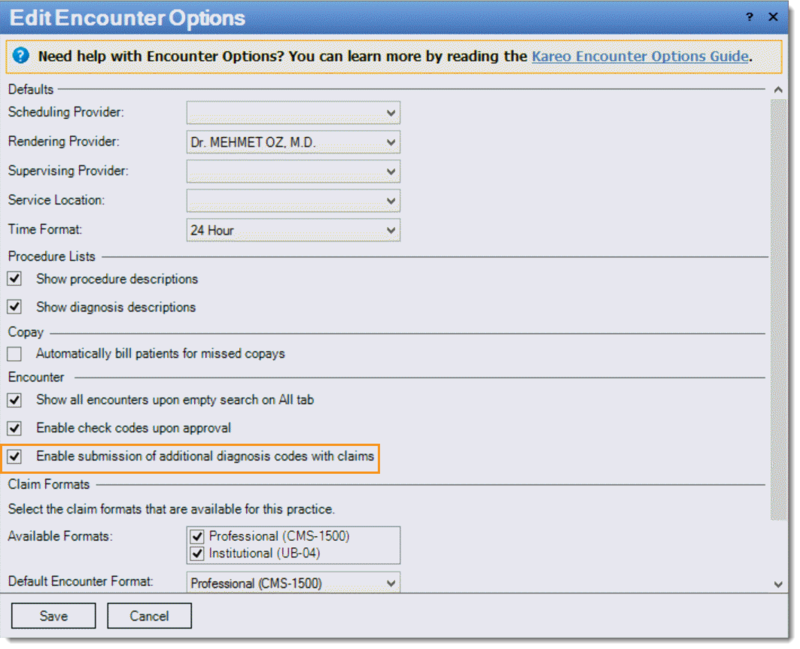 Kareo customers can now submit up to twelve unique diagnosis codes at the encounter level for each visit. Map up to four diagnosis codes per procedure line. 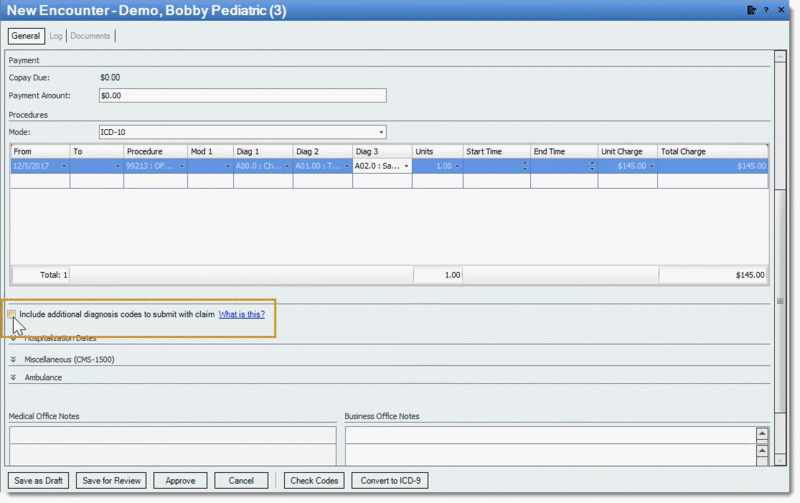 In order to enable this new feature in the desktop application, navigate to Settings > Options > Encounter Options > click the checkbox for Enable submission of additional diagnosis codes with claims and save. To enter unique diagnosis codes on an encounter, from the general tab, scroll down > Add the procedure line > add up to three unique diagnosis codes > click the checkbox for Include additional diagnosis codes to submit with claim. Select the additional diagnosis code that pertains to the procedure by clicking on the dropdown list arrow > click Save as Draft to save changes. All diagnosis codes will display once the encounter is submitted. Note: as you add procedure lines and unique diagnosis codes, the available boxes for additional diagnosis codes will reduce as codes are included and allow for up to 12 unique diagnosis codes to be added per encounter. This new feature enhancement syncs from the Kareo Platform to the Kareo Desktop Application! When adding a new charge in the Kareo Platform, from the charge summary window > click the checkbox for Include additional diagnosis codes to submit with claim > select the diagnosis code(s) > click send to biller. The diagnosis code(s) will auto-populate in the encounter in the desktop application. 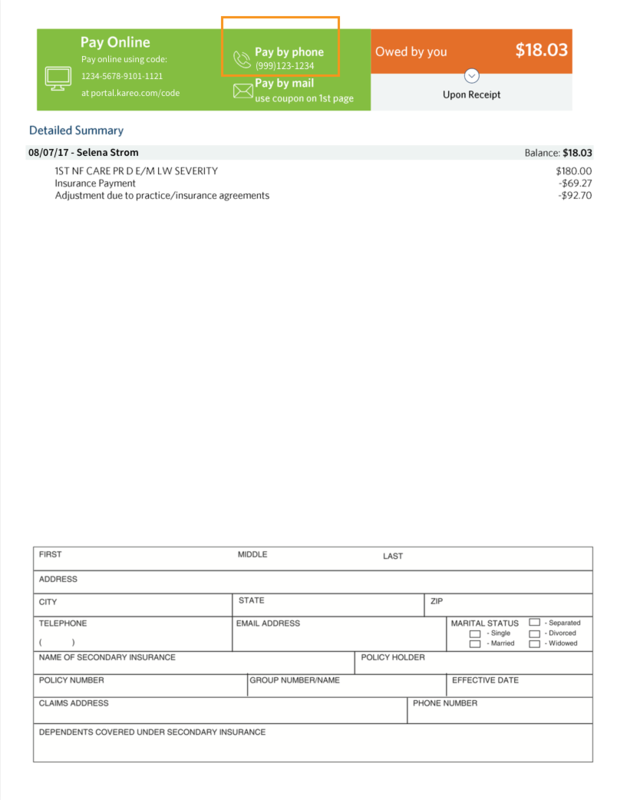 Administrators can now set specific phone numbers (Contact #, Billing Contact #, or custom phone number) for both pay by phone and billing questions fields on internal printed and mailing house patient statements. Additionally, a new checkbox setting is available to allow payment by phone to be disables entirely for practices who do not wish to take payments over the phone. 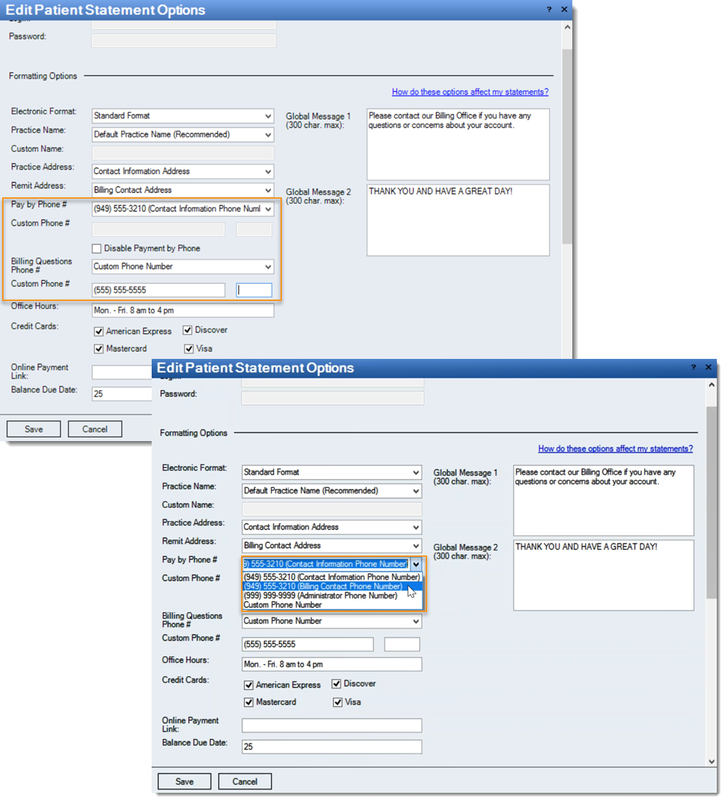 From the Kareo desktop application navigate to Settings > Options > Patient Statement Options. 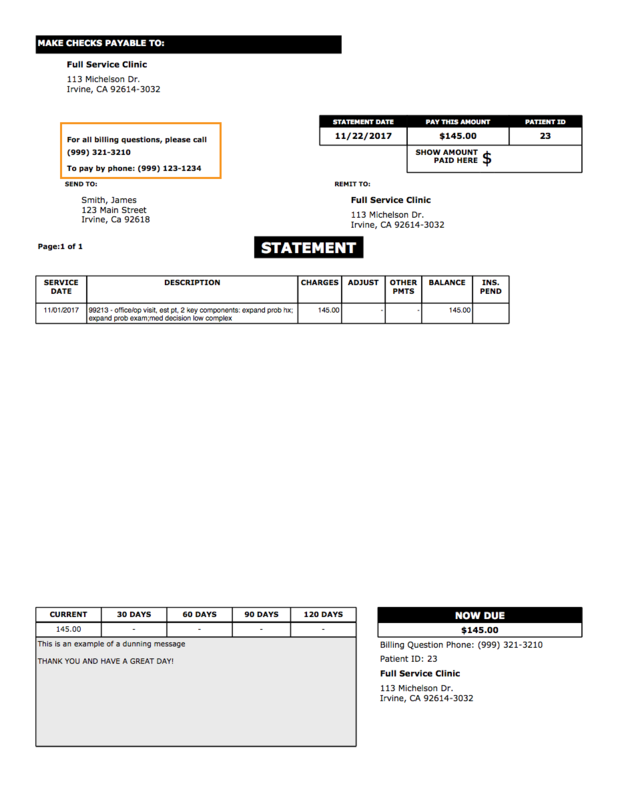 You will see new fields for Pay by Phone # and Billing Questions #. 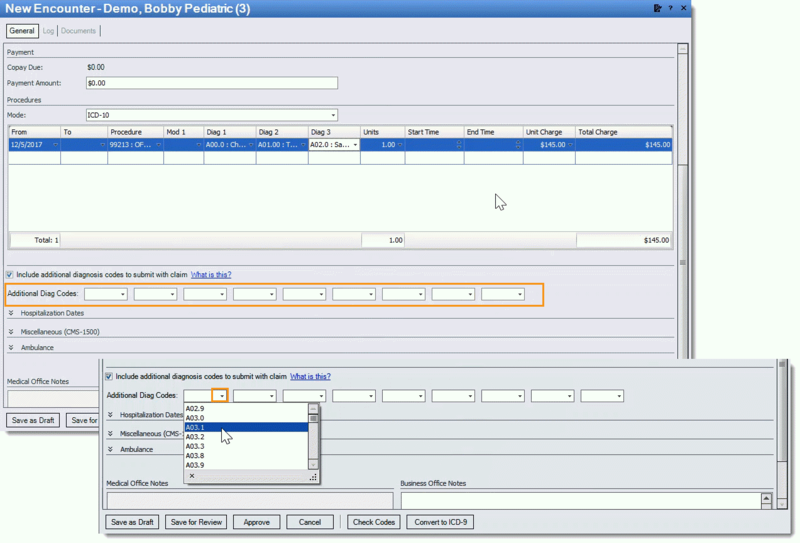 Select a phone number from the dropdown or enter a custom number for each of these two fields. 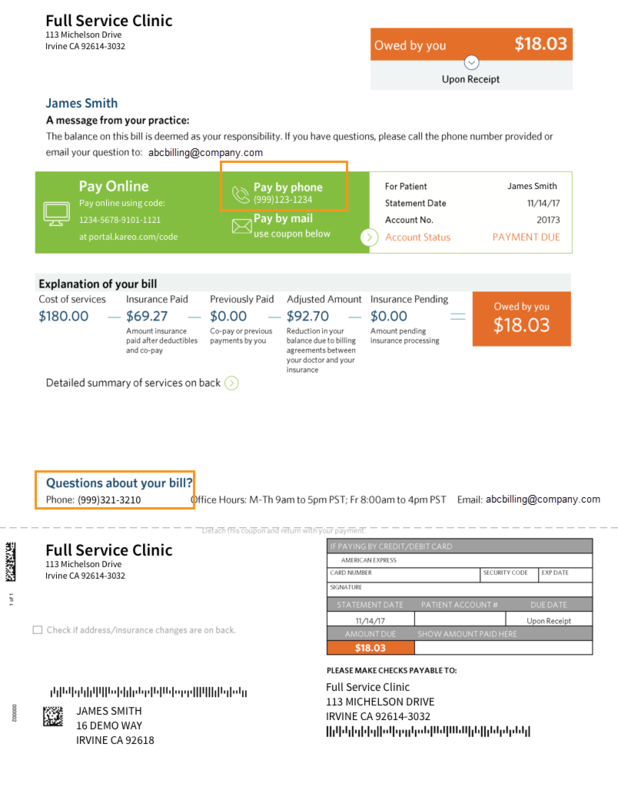 For all customers, the new billing questions field will automatically be set to "Billing Contact" phone number. 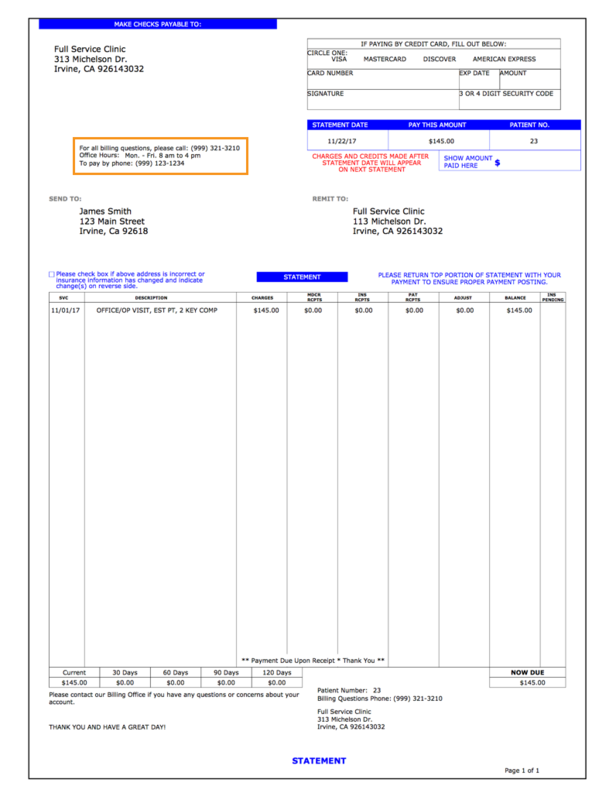 Pay by phone will be BLANK by default so as not to provide incorrect numbers to patients. If you currently do take payment by phone, please navigate to Settings > Options > Patient Statement Options and set these new fields. Any statement batch sent to be printed and mailed by Revspring after 9:00p.m. PST on 12/18/17 will utilize these new settings. Fixed an issue where Medicare RTE reports were coming back with a message saying that the payer ID is not supported and the payer info in the RTE report is not the same as the payer info in the system – Medicare. Fixed an issue where end users could not make necessary changes to billing form setup when attempting to save changes and updates to Encounter Options. Fixed an issue where end users could not submit claims with the proper documentation type properly which resulted in rejections. Fixed an issue where the end user was unable to attach additional documentation to the new encounter during encounter creation. Fixed an issue where the end user was unbale to crate or attach attorney to patient case while editing the encounter. 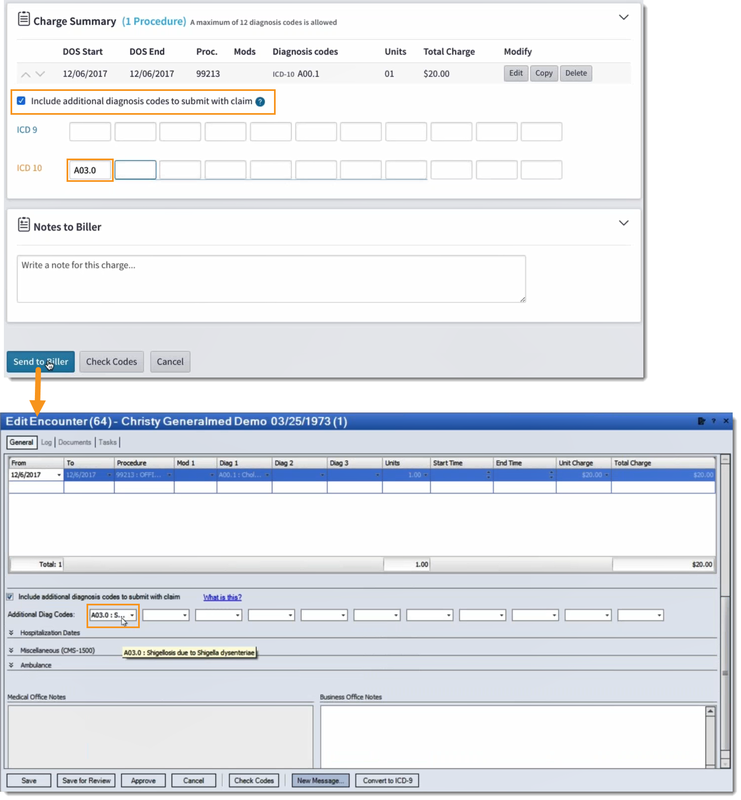 Fixed an issue for New Kareo Accounts (created post convergence 5/9/2016) with Converged Users did not have the option to toggle between user roles 'Medical Office User' and 'Business Office User' in order to provide users with the correct To-do list on the practice dashboard in the desktop application. 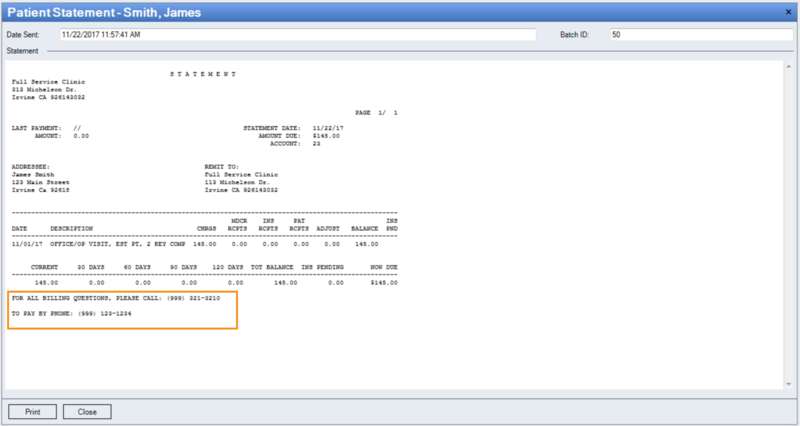 Fixed an issue where the Charges Detail report was not displaying all of the RVU values.